Napoleon Hill said that every failure has the seed of an even greater success. We keep seeing that play out in Mixergy interviews. This one offers another great example. Scott Switzer told us how he had to close down a startup that he co-founded. Because he suddenly had free time, when a friend asked him to help find a way to lower his ad serving bills, Scott was able to look into it. The problem his friend’s company, Unanimis, had is that every time it ran a thousand online ads, it had to pay 50 cents for the service that served those ads. Since Unanimis serves tens of millions of ads each month, the cost added up. Scott discovered an open source solution that eliminated those serving costs for Unanimis. It worked so well that together they formed OpenX to improve and capitalize on the technology. Today, OpenX servers over 250 billion ads per month. Listen to this interview to learn about the business and the entrepreneur behind it. Scott Switzer is the Co-Founder and Head of Community at OpenX, the world’s leading independent ad server for web publishers. Previously, he co-founded article27, a company that managed exclusive internet video rights to feature length films. Andrew: Hey, before we get started, I want to tell you about the new number that I got from my new sponsor, GrassHopper. The number is 877-4-MIXERGY how cool is that vanity number by the way. 877-the number 4-M-I-X-E-R-G-Y. Alright and we’ll come up with a few things to do with it. But the first thing that I think we should do with it is, from now on I will list all of my upcoming guests on mixergy.com so that you can see who’s coming up and if you have a question for any of them you can call up my number and ask them ahead of time. That way you don’t have to be here on the live, at the live show to ask your questions of my guests. And, of course, if you don’t know grasshopper.com, it’s a service that will let you have multiple extensions so that you can look like a big company. Or if you really are a big company and you have lots of people there, it will give you multiple extensions for each person at your business. I, personally, am gonna use it to make sure that I get calls no matter where I am in the world. As you probably know, Olivia and I are going to be travelling for a bit. And whenever somebody calls that number it can come to my cell phone. It can go to the land line that I happen have here. Check it out, an actual land line at the office. Or where ever I happen to be, hotels, whatever. So, grasshopper.com, thank you for giving me the phone number. Guys, give me more suggestions of how I could make it, make Mixergy more interactive by using that phone number. For now, give it a call if you have questions for my upcoming guests. Here’s the interview. 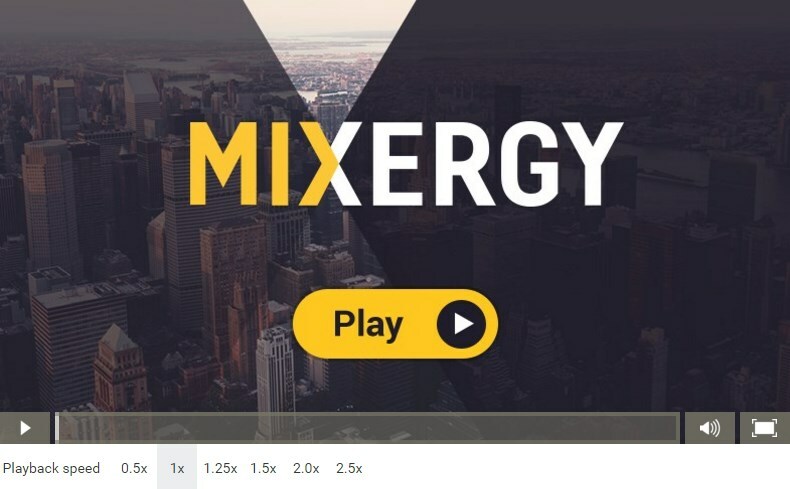 Hey everyone, I’m Andrew Warner, founder of mixergy.com, home of the ambitious upstart. And, as you guys know, I interview Internet entrepreneurs about how they launch their companies. How they built it. What makes them special. And more importantly, what you and I as entrepreneurs ourselves can learn from these guys. So, today I’ve got with me, Scott Switzer and if you’ve been on the Internet for more than, I’d say, an hour today. You’ve probably seen an ad that his software served up. He is the founder of OpenX. And OpenX works with over a 150,000 independent sites and collectively they serve up, I’d say, over a quarter billion, a quarter trillion, ad impressions a month. How did I do with those numbers? Interviewee: That, that seems about right. Andrew: And a quarter trillion, it’s, it’s hard to even wrap your head around. I was trying to maybe compare it to something. How many people in the world? It more people than there are in the world, obviously. Interviewee: It’s, it’s, it’s quite a few. I, I guess that it also show how many ads are really served on the Internet, as, as well. Andrew: Yeah, so if people, people have seen ads on the Internet today. They’ve seen an ad served by you. True? Andrew: Most likely, they have. Not my audience, though, I bet many of us have got our ad blockers turned on. Do you guys? Andrew: Have you guys found a workaround for that yet? Interviewee: No, I, I, you know, I think that as people are, are, are really interested in not seeing ads, there’s really not a whole lot that an ad server can do. That’s other than making them even more frustrated. So, we tend to leave that alone. Andrew: I see. Alright. There’s some people there that if you fight for, you’re really fighting against yourself. You’re fighting a losing battle. Interviewee: Yeah, I guess the goal would be to have ads that are more and more relevant to people. Andrew: Okay. And by the way, is that, are you on NBC is that the logo sound that we’re hearing in the background? Interviewee: Oh, you know what, let me turn it off. I’m, I have a. There we go. I have one of my IM clients is going off. Andrew: I see. As long as we’re talking about what’s in the background, and we know about the IM client that’s in the background, do you mind me asking about the picture that happens to be over your shoulder? What is that? Interviewee: Oh, heh. It’s a, it’s a photograph of a, of a Chinese artist named Jung Wong, and it’s, he’s a, he’s a, he’s a, a, a artist that basically does types of installations and so this is himself and a number of people in, in water and the name of the, the portraits called, “Racing the Water”. Andrew: And they’re swimming naked though, right? Interviewee: Yes. Yes, they are. Andrew: Alright. Live audience you guys let me know if you can see any of the naked. I can from here. Andrew: But I pay attention to the facts of this interview here. Andrew: Okay. Let’s, let’s go back and before we even come up to OpenX and find out how you launched it. What the problems that you’re trying to solve with OpenX are. I thought we’d just go back and get a sense of who you are as an entrepreneur. In fact, are you an entrepreneur from birth? Are you the kind of person who always saw himself as an entrepreneur? Or more of the technician? More of an engineer? Interviewee: I, I think, I think that, that I’m an entrepreneur. I, I knew from a very early age that, that I wanted to, to spend time working and getting, getting experience but really, ultimately to find, find a company that, that I could start. And find a problem in the marketplace that I could solve. My, my father and both my grandfathers are both entrepreneurs, so, it, I, I think that I was born and bred to become one. Andrew: Alright, and most born and bred entrepreneurs. Andrew: Most born and bred entrepreneurs end up calling themselves CEO, Chairman of the Board, Grand Pooh Bear. You seem to take minimal titles. Like, your current role – and you’ve brought some great people in, who have those terrific titles. You current role – is it Community Manager? Interviewee: Yes, my most recent role is Community Leader. I think that the reason why I chose that role is, especially for OpenX, which is an open source ad server, that really became what it is because of the community-built that OpenX supports; their involvement and their willingness to share information and to push OpenX to their friends, and that kind of thing. That’s really where I thought the key ingredient to what openX is, is that community. That’s where I spend most of my time. Andrew: You know, I see a lot of that in open source-based companies – that the community really becomes the most important thing. And I don’t know if you know Roy Robin, the founder of Magento. Interviewee: Yes, I fronted them. Andrew: I was at his office, as I used to leave a few blocks away from his office. I was in there once and I saw him – he looked like somebody who ran over his dog. I said: “Roy, what happened? Did something happen in the family? Did the…” and he goes: “No.” “Did you guys lose some money?” He goes: “No, business going great.” “What’s the problem then?” “People in our forms are upset.” And he had these printous of what they wrote on the forms and were upset with, and this was causing him tremendous anxiety. So he had me anyway take the questions that they were asking and the issues that they had on their forms and ask him the way that I’m asking you questions right here, so that he could respond to them and they could see him on camera responding to them, and that they would know that he really cared. Andrew: But that’s what it comes down to, because your technology is based on work that others do to contribute to it, for free. Interviewee: Yes. Well, I think that there is… When you talk about open source, there’s a perception and there’s a reality around that. I think that the perception is that thousands of people are all building parts of the application and that there’s a few people in the company that are trying to piece it together. I think that the reality with almost every open source product is that the real value that our community is giving is instant feedback about whether or not our product is fitting to their market and to their needs. And about… the amount of testing and de-bugging their community really does well with figuring out if there’s problems and making sure that we know about it, so that we can plan our road map effectively. Andrew: I see. So they’re not so much contributing code to your project, as they’re contributing feedback and suggestions and bug reports. Interviewee: Right. The goal – and I think that most open source products are doing this. Magento is one, WordPress has a huge community of plug-in developers. The goal is really to have a fairly tightly-knit group of developers that develop the core product and then allow the community members to build plug-ins on top of the product. That’s really worked well with a lot of open source applications today. Andrew: OK. Alright. You were saying earlier, that you were born and bred to be an entrepreneur. What kind of businesses was your family in? Interviewee: In completely different businesses: in real estate and my father is in architecture and my other grandfather was in construction – so, very different than computers. Andrew: So, what was it about entrepreneurship that got you excited back then? “Interviewee: Doing your own things. There’s a lot of especially, I think that the internet has really bred- given a platform for this type of individual to make these types of decisions, to take a left when everybody else is taking a right, versus in other industries it’s probably harder to do that. Andrew: Can you give me an example of how you saw that back at home? Of someone in the family not listening, wanting to go left when everyone else was going right, wanting to do their own thing? Interviewee: Well I guess one example is that I was born in Omaha Nebraska, and I was one of the very few people that decided that I wanted to go to a college, and it was a college where there was a lot of skiing in Vermont. And it just was a very different decision than other people that I went to school with. I think that in general- oh there’s a lot of different little decisions you can make, whether it’s arguing with your family members about different things but there’s- I think it’s just in your general personality to always be thinking of ways that you can do things differently. Andrew: But you guys talk- did you guys talk business around the dinner table, was it brought up around the house, was it something that was encouraged? Interviewee: Not really, no. I do a little bit with my father, but I don’t, no in my family we definitely don’t talk about business or anything, you know we spend our time talking about other things. It’s quite nice. Andrew: Okay. Alright so you were saying that you wanted to be an entrepreneur and you were waiting for an opportunity to do it, but at first I think that you said that you wanted to go and work somewhere, get experience maybe make some money. Right? Andrew: Is that what, was IDX that place for you? Interviewee: Yes it was, it was a, after school I, it was my first job, at a firm where I actually was a professional job and I spent seven years, seven or eight years basically building large scale medical systems. And I think from a timing perspective it was interesting becaue after about two or three years was when, in ’94 or ’95, is when IDX really decided to figure out whether or not to build their systems for the internet, rather than building them in traditional client server mainframe type of environments. And so it really got me into this, the feel fairly early, relatively early, and I got some great experience and I worked for some really amazing people there, one of which is Jeff Sutherland who is the founder of SCRUM for example and introduced me to agile programming methods very very early, before that became very popular. So it really gave me the foundation before I left IDX, and since then I’ve been doing my own thing. Andrew: That goes against what I was thinking for myself, that I wanted to go and be an entrepreneur right away, because I was worried that if I took a job that I’d get comfortable with it’s salary, I’d get comfortable with the lifestyle, I’d get in a rut with it and it would be harder to push myself out and become an entrepreneur. Did you feel any of those feelings? Interviewee: No, you know I felt a little bit differently, I felt that I needed some level of confidence to go out to start my own company. I mean it’s probably the most important thing that over the time that I have not been working for a large company it’s just building the confidence not only to build these technical systems, I guess I was a software engineer from the start, but also the confidence to go to an investor and ask for money and the confidence and energy so that you can explain your idea to people and they understand and want to follow you and want to work at your company and that type of thing. Interviewee: That’s where I saw getting a, spending time at a larger company really really was practical. Andrew: OK. And by the way, doing these interviews is interesting for me because there’s no dogma here about entrepenuership or about business. Just when I think there has to be a single way, and I do these interviews and I prove it with three different entrepreneurs who’ve done it all exactly this way. I ask a fourth person and they say, “No. It’s the exact opposite for me.” There is no single way. If there’s any lesson that I’m taking away from all these interviews, it’s that. That there are multiple options here. Andrew: OK. So you were saying you wanted to get the ability & the confidence to be able to build, to launch a business, and to raise money? Andrew: You started Article 27? Andrew: You raised six million dollars. This was in the year 2000 is when you launched it. What a tough time to launch a business, by the way, online. Interviewee: May of 2000 is when we launched, which is a pretty tough time. Andrew: So just before the end of the world or was it just after? For dot-coms? Interviewee: It was during, I think. Andrew: So just as the bubble was bursting, in comes Scott with his idea. But you raised money? Interviewee: Yes, we raised money. It was difficult. There were three other co-founders to Article 27. And so I was really on the technical side and two of my other co-founders really handled the fund-raising and the business side. We did do fairly-well on the fund-raising side. We had a really solid business model. I think the issue is a timing perspect. Out of the four co-founders, I was the oldest one at the age of 27, I think. So we were also quite young. We tried a couple of different models to make it work. Our first model was really to buy the rights to independent films and then to sell different types of rights, including internet rights, and to build a streaming service. In 2000, that was a number of years too early. So we spent a lot of time selling DVDs and then getting into that business, into the internet business, and it was just taking too long. So we changed our motto a bit, and the software that we built for Article 27 seemed to be effective in managing video content, and where we would not have to buy the rights to video content. We could just sell the software license to large companies to manage their video. Almost a digital asset management system. Andrew: OK. So let me see if I understand this. You were really just interested in taking movies and video and putting it online. But the way that you approached it was by buying all of the rights to them, including the DVD rights and the internet rights, and distributing them and managing those rights all over the place? Andrew: And the reason that you had to do it — it sounds absurd today; you want only this little slice, but instead you are going to buy the whole cake — the reason you had to do it is because you couldn’t convince them back then. You couldn’t convince the right owners to give you just internet rights. You had to really be in control. Was that your thinking? Interviewee: Absolutely. It was very tough just because most of the copyright owners or the owners of the films just didn’t know how valuable internet rights were. And so they would always bundle them up with the overall rights package, but would never sell them individually. Andrew: I see. OK. So you are in there. How many movies are you buying and selling on DVD before you decide it’s time for us to switch direction? Interviewee: I think that we had the rights to quite a few films. It’s been a while, but I think it was over a hundred films. And these were the types of films our tagline was ninety-five percent of films are never seen, and these are the types of films that are what you would see if you go to a film festival. So they are not mainstream; they’re very fringe. They’re actually very good, although it just didn’t… there wasn’t enough of the population or timing for it to be sustainable. Andrew: You guys then were going to be, like, the movie moguls. You were going to decide which ones were more likely to be the hits, where to distribute them, how to package them. Interviewee: Um, right. I mean, I don’t know if we…at least I wasn’t aspiring to be a movie mogul. Andrew: OK. And by the way, doing these interviews is really interesteting for me because there’s no dogma about entrepreneurship or about business. Just when I think there has to be a single way and I do these interviews and I prove it with three different entrepreneurs who’ve done it exactly this way, I ask a fourth person and they say, “No, it’s the exact opposite for me.” There is no single way. If there’s any lesson that I’m taking away from these interviews, it’s that — there are multiple options here. So you were saying that you want to get the ability and the confidence to be able to launch a business and to raise money. You started article 27. You raised $6M. This was in the year 2000 when you launched it. What a tough time to launch a business, by the way — online. Interviewee: May of 2000 is when we launched which is a pretty tough time. Andrew: So just before the end of the world? Or was it just after? For dot-coms. Andrew: So just as the bubble was bursting, in comes Scott with his idea. But you raised money. Interviewee: Yeah, we raised money. It was difficult. There were three other co-founders to Article 27. I was really on the technical side, and two of my other co-founders handled the fundraising and the business side. We did do fairly well on the fundraising side. We had a solid business model. I think that the issue is a timing perspective. Out of the four co-founders, I was the oldest one at the age of 27, I think. So we were also quite young. We tried a couple of different models to make it work. Our first model was really to buy the rights to independent films and to sell different types of rights, including internet rights and to build a streaming service. In 2000, that was a number of years too early so we spent a lot of time selling DVDs and then getting into the internet business. It was just taking too long, so we changed our model a bit and the software that we built for Article 27 seemed to be effective in managing video content, whereas we would not have to buy the rights to video content. We could just sell the software license to large companies to manage their video. Almost a digital asset management system. Andrew: OK. Let me see if I understand this. You were really just interested in taking movies and video and putting it online. But the way that you approached it was by buying all of the rights to them, including the DVD rights and the internet rights and distributing them and managing those rights all over the place. And the reason that you had to do it — it sounds absurd today, you want only this little slice but instead you’re going to buy the whole cake — is because you couldn’t convince the right owners to give you just internet rights. You had to really be in control. Was that your thinking? Interviewee: Absolutely. It was very tough. Just because most of the copyright owners, or the owners of the films, just didn’t know how valuable internet rights were and so they would always bundle them with the overall rights package, but would never sell them individually. Andrew: I see. Ok, so you’re in there. How many movies are you buying and selling on DVD before you decide it’s time for us to switch direction? Interviewee: I think that we had the rights to quite a few films. It’s been a while, but I think it was over 100 films. Our tagline was “95% of films are never seen” and these are the types of films that are what you would see if you would see if you go to a film festival. So they’re not mainstream. They’re very fringe. They’re actually very good. There wasn’t enough of the population and the timing for it to be sustainable. Andrew: But you guys were then going to be like the movie moguls. You were going to decide which ones were more likely to be hits, where to distribute them, how to package them. Interviewee: I don’t know if we were — at least I wasn’t aspiring to be a movie mogul, as the tech guy. Interviewee: Always I wasn’t inspiring to be a movie mogul as seen as the tech guy. That said I mean what we did want to do is build a platform where distribution can quit support many more times than the number of films that it supports today. Andrew: Ok alright and then when you realise that you are not going in the right direction how much money have you guys poured? How much of this 6 milliion that you raised went into that direction? and we raised a second round of financing and really the model around the second round of financing was software lead rather than support lead and during that time we changed our strategy building an enterprise software business rather than some company. Andrew: By the way sounds little bit like a sci-fi movie in the background on your side thats just because you’ve got all kinds of people who are trying to reach you. I am familiar enough with skype to hear when people are trying to chat with you on skype and I wouldnt be suprised when bunch of them are saying hey I see you at mixergy right now. Interviewee: May be..hahha trying not to..
Andrew: You decided to go in different direction, you are going to focus on software, enable people to manage their rights. How did that go for you guys at article 27? Interviewee: Well I think it didn’t go well. We had a few customers and we were in the process of getting basically we had the product the second round of financing was really there to help us to finish the enterprise software product and it was done and we were ready to launch and we basically as founders we talked amongst ourselves..to see ok so do we think that there is a product market fit here. Do we think that we want to take even more money from investors and do we think there is a significant chance of this succeeding and we decided that we were not going to take the third round and we just thought that the time is just not right, the bandwidth is not there yet and we just didnt think that we have the right product market fit instead of taking third round we decided to wind down the company. Andrew: How hard was that within the four of you to come to that decision? Interviewee: Well I think it was hard for it to be put on the table and to talk about but once it was there it was kind of elephant in the room and it was an easy decision for me because I just felt as though that the product market fit just wasnt there and i think that it really was a difficult process just from a communication perspective to let your co founder know that your heart may not be in it and you may not think that this is going to be a very successful company when for the last 3 years everybody is living and breathing this company hoping that it works. I think that once you bring it out on the table then it was an easy process to make that decision. Andrew: Yeah you know what when you are building a business its all about faith in the business infact for a long time a business nothing but faith. There is no hardware yet there is no software thats bought there is no customers, there is no money its all about faith that one day there will be something there and when one of the founders says you know what I dont think we are on the right track there is a fear that everyone else is going to say you are the one who is runing because you are taking the faith away everything else thats being built on top of that foundation is going to crumble now. So you didn’t have the conversation with them, how did you guys bring it up? Interviewee: Well, I think that we were all feeling it for a few weeks or months and then when it got down to time to really we decide are we really going to take this third round or not. It was almost time where there was no more time to delay, either take the third round because when you raise a lot amount of money there is a, I have a huge sense of obligation that I am borrowing this money and that I want to make a return for my investors…. Interviewee: When you raise that amount of money, I have a huge sense of obligation that I’m borrowing this money, that I want to make a return for my investors, and I just didn’t feel like I could go through with taking a third round if I didn’t feel that way. And so at that point in time where you have to either go in and sign papers or not, you want to make sure that you’re on completely the same level as your investors. Otherwise it’s doomed for failure. Andrew: I see. See I had a similar experience where I had to close it down, where my business wasn’t going anywhere, and I had to come to terms with it but I refused to notice it. And there was no outside force pushing me to notice it. I didn’t have investors who were on me, it was all my money, I kept spending more and more money every month, I kept wiring more money from one account into the other so I could keep funneling into the business. and I could have gone on like that I don’t know how much much longer, it would have been a long long time, no reason to stop and sometimes having that outside impetus is the only way to stop. I was talking to one entrepreneur here who said that he just got married and that became the point that he had to decide what he was going to do with the rest of his life. But without that, who knows how long he could keep going. How’d you feel afterwards? Interviewee: I felt a huge sense of relief. Andrew: You didn’t feel a sense of failure? You didn’t feel a sense of lack of worth, or questioning your own powers and abilities? Interviewee: No, not really. It was interesting, I moved to the UK to start this company and so as an American, I think that the environment in America is such that you go off and you start your own company and everybody says “Wow that’s just fantastic, what courage you have” and if you fail then they say “Well at least you tried, when are you gonna do your next one?” and that type of thing. And I think the UK has definitely changed today but at the time we wound down our company and I was moving on to other projects and the only time I started thinking “What’s the big deal? You know, I tried and it didn’t work out” is when I get questions from British folks saying “Boy that must have really sucked”. It seems like it was more of a cultural difference. I think that today a lot has changed and the startup environment in the UK is fantastic. And there’s a lot of efforts now, that’s building that type of environment in the UK and the EU in general that’s been around the US for some time. Andrew: I had Jason [unintelligible] speak at a conference that I organized and he said that in this country, in the US, they give you money to build a business. If you fail, they’ll just come back and give you more money for another business because now you’re proven, now you’ve gone through the system. Do you find that was true afterwards? Interviewee: Well, I think so. There’s definitely some zigs and zags between what I did at Article 27 and then raising money for OpenX . But it definitely was, I don’t know if it was easier, but I went from being the tech guy that wasn’t involved in any of the financing to basically being the person to raise financing for OpenX. So I definitely learned a ton and understood a little bit more about what types of things you need to think about to make a company as sound as possible before you go through that process. Andrew: And correct me if I’m wrong, but just being in the ring helped you. Just having been an entrepreneur, just having been at a startup, just having raised money even though it didn’t work out the way you wanted it to, that all helped make you a little more bankable? Interviewee: Oh absolutely, without question. I’m married and have two children, and it definitely helped my wife even more so that she’s now definitely an internet entrepreneur’s wife. If where I come home and the world has fallen in or I come home and I’m ecstatic she pretty much has the same expression. She knows the ups and downs of being an entrepreneur’s wife now. Andrew: You really do need someone who doesn’t collapse when things fall apart because they’re gonna fall apart a lot. And doesn’t run out and buy thirty mink coats as soon as things do well because, man, they fall apart a lot. Andrew: Alright, so that explains why when I went to Article 27 in preparation for this interview to do my research on you, I saw that someone is selling that website. Andrew: Yes. Good luck to you guys that are selling that domain. Let’s move on then to Unanimous, whats Unanimous, the next company that you went to? Interviewee: Well, I think that the weekend after I stopped working for Article 27 I went to the movies with a friend of mine who’s the founder of Unanimous. His name is Damon Reave. We were talking and he was complaining about how much money that Unanimous spent on Ad serving. And I told him, well, I’m not doing anything at the moment, I’ll just do some due dilligence for you and look what the available options are. Before I go on, Unanimous, what it is is basically a agency that represents websites and they sell to Ad agencies. So Unanimous in the UK, at the time they represented EBay and Ticketmaster and EBookers and the London Stock Exchange and just these really well branded, huge websites in the UK. Andrew: And they did what for them? They represented them how? Interviewee: They represented their ad-space, and so they would sell ad campaigns on those sites. And in the UK, I think it’s a little bit different than the US where the websites were selling high CPM ads rather than performance advertising and so there was kind-of brand advertising that was going on over there. Andrew: Alright so you were working for, actually, Damon comes to you says we’re spending too much money, you say I could do some due dilligence for you and you ended up doing what? Andrew: I think we might have lost you, lets wait for the camera and the audio to catch up with eachother, there we go. So you were saying that, the idea for the marketplace and, take it from there. Interviewee: We ended up starting a spinout half owned Unanimous and half owned by Damon and I to build this technology side to Unanimous. The real challenge with that, is that, right at the time that we started this company, Unanimous started growing by a lot. When we first installed phpAdsNew I think that we were serving about 40 millon ads per month and they grew very quickly to well over a billon. And so most of this technology arm of Unanimous was really the IT deparment of Unianimous. So what we decided is just to merge the two companies together and call it Unanimous. Andrew: Okay, let me just give people a little bit of background here. You’ve been saying, for the transcribers especially, the software he’s been referring to is, phpAdsNew. And that is, the history behind that is, tell me if I’m wrong, phpAds was founded in 1998 by Tobias Ratschiller. Andrew: Then apparently Tobias wasn’t updating this fast enough so Wim Godden started phpAdsNew. With the idea that eventually they would become one. But eventually, phpAdsNew is what became the stand alone product. Right? Interviewee: Yeah, I’d, I’d say that, that, that the history, the history phpAds, aside from the multiple name changes that it’s had, is, it was a, it was a script that fairly techies’ websites could use until, until a guy named Niels Leenheer came aboard. And he’s a, he’s a developer but mainly a designer and he put a very slick user interface on top of, of phpAds. And I believe that’s when it became phpAdsNew. Interviewee: And really started adopt, adoption from not only technical sites but, but, but mainstream sites. Andrew: I see. We had a little bit of a hiccup with the, with the technology. Skype was giving us a little bit of a hiccup there. But what you were saying is once that slick interface was put in there, that’s when it started to take off because it was more accessible to more people. True? Andrew: Alright, so now you are, you split off, joined back up, and then you say, no, no, we need to split this off and that’s when you create openAds, right? Andrew: The stand alone company that, essentially, was going to spearhead this phpAdsNew software and bring it, bring it out to the masses and commercialize it. Andrew: And, now the software’s free because it’s open source but you have to find a way commercialize it and bring some money in. Obviously, you, you get, tech support revenue, right? That’s one of the main revenue models for open source companies. What else did, what else did you do when you started and then we’ll get into what you had in mind for later. But, when you started what other revenue sources were there? Interviewee: Well, the, the key revenue source at the very beginning was service and support. Which, which is the, basically people being able to hire OpenX engineers to help them out with their own installation. And, and then after that the, the next revenue stream that we had was a hosted version. And, and, and the hosted version would, is that, that, that somebody would not even have to install any software on their own platform. They could just use OpenX. And for a while, for, for a long time it continues that OpenX is, is free on the hosted side up to a certain threshold of, of ads. I think, I think it’s about a hundred million ads. And then after, after, if there’s a website that, that serves that, over that threshold then there is a.
Andrew:alright,and then in April this year you guys created OpenX market? Andrew:which is,the way i read the people describe saying its an Ebay like a market place for ad returns? Interviewee:yes, what the market is that the OpenX has historically banned a technology and ad server so that you can so that your website can serve their own ads.whatever ads whether its a google adsense or advertising or anything else.what the open axis market does is that it can take any of the ads that they used already and place those bills into a market with hundreds and thousands of other advertisers and for each ad they can figure out which one is going to give you the the most, the most cpn return. and so then it will serve that ad rather than whatever ad that you decided to took to serve for and this is a technology which is really gaining a lot of attraction in the market place. in that, where you can weight advertisers worth at you site and be able to figure out in a unrated fashion what parts,which of your users or what part of your sites are most interesting to them and in frictionless model and if you think about the thousands of thousands of websites today that are hooked into open axis,this is something that has never been available to customers because they are just too small websites to able to have agency by advertisers but what OpenX is doing lumping them all together into a single market place so that agent can see or buy across thousands of websites which he would like. Andrew:see, how smaller sites do you guys work with? Interviewee: we work with a some fairy small sites.we don’t have a load threshold, i would say that the two main major markets for OpenX historically has been the small and medium sized websites so it say that they serve less than ten million ads per month or huge websites there are, that serve, they have access they cant sell out. so lot of social networks people have like that would tend to use open axis well and so this small websites its just its because that’s the only technology available to them. huge ones open source being free, the huge reason why they use in max. Andrew:may i actually before this interview,i put up a call they could use a ask OpenX and to give their feedback can surprise. i think few of my past interviewees who used Openx market.i think metroX who used a lot whom i interviewed about a week or so ago. they used OpenX a lot.so that get a peoples sense who is out there using you or not and that also some smaller guys, i thought would been too small bother with advertising we thought messing around with your software. Interviewee: well its definitely,its definitely pretty wide we use,so they say i have known quite of yours a lot and especially a lot of start ups and a lot of people who are starting through company they go with OpenX. most, most of them stay with the openx as,as their growth exists. i think its a, its something to be said that before start up to be there, the hurdles you have to go through in order to try out something apart are significant and that’s why all start ups will use amazon ec2 and a lampstacks and they will use php rather than something that requires a configured application and that’s the easiest way to get a product out quickly and i think that’s,that’s also a OpenX you can up in the run in no time and you know whether you can basically use or modify the technology whatever,however,whatever turns your business makes but you are not walked in like you are with other products. i think that’s really important.its business for other types of technology. Andrew: Ok guys, if you are watching this live and if you got any questions or any feedback let me know. I see by the way that Johnny Geary is saying to everyone on Twitter “I’m here live at Mixer G with the founder of OpenX – Watch girls swim naked in the background – what an interesting interview and great scene!” So whatever it takes, get people to come watch, tell them that there are girls swimming – I can’t even tell if they’re girls or boys, or anyone else in the background… But Johnny, thank you. Whatever it takes for people to come and watch. And from earlier, Monocat, who was watching us said “I remember those days on the Magento Forums” – referring to what I said about how Magento had some people who were upset with them on their forums – He says “I remember those days on Magento Forums, those were freeloaders, whom one can never satisfy. Forget them, Magento!” Alright, Roy Reuben was not able to forget anyone – like I said, it was like his dog got run over. The guy looked really sad. The guy looked really hurt. Ok, what’s next here with the story? Can you talk a little bit about what it was like when Google got into your business? Here you are the leaders, and Google, the big giant of every industry online is coming into play in your field. Interviewee: Well, it was interesting. I think that it definitely didn’t come from left field. We knew that they were in the process of building a product. Andrew: How? How did you know that they were in the process? Andrew: Before we get into the differences, you guys obviously haven’t gone away just because Google got in the business and there are advantages that they haven’t matched. But the first time you heard that Google was getting into your business, Scott – what did it feel like? Andrew: But did it take you a while, did it hit you, make you go back a little bit before you were able to stand up again and say “Okay guys, here’s how we’re gonna handle this”? Interviewee: No, I think I was in the US at the time and our employees were in the UK, but that day we put out a blog posting that really addressed what OpenX’s value proposition was and reiterated- You know there’s a lot of people, bloggers, you know how they can be, who will say “OK, OpenX is dead – Google came into this market, they’re absolutely gone”, and the opposite is the reality. I don’t want to sit here and tell you “it validates our market, blah blah blah,” but the fact is that what it did was put a lot more pressure on ad servers that made their money on charging for technology. And because it really made a lot of people think “Well, why I am I paying money for this market?” I think your original question was about “Did it hit me like a ton of bricks?” I think that the main thing that I wanted to do was to make sure that the employees and the community understood that we have a road map, that we’re still right on that road map and it’s not changing and it’s not going away. Andrew: So what were the differences? What were the differences between the two that you were able to highlight? Interviewee: using open source you can change it. Those are two really big considerations, especially as you get into business. Small to medium size businesses tend to change quite frequently and you just don’t want to be locked into one solution. Interviewee: It think it’s also great because, at the time, there were quite a few ad servers out there and now it was two ad servers. Nobody talked about Google versus somebody else – it was always Google versus OpenX. And so that was when there were just really two major players in the market. Andrew: OK. Let’s see what else we’ve got here. I know that we don’t have much more time left. How about Jonathan Miller? What’s he like to work with? Interviewee: He’s a really great guy. Andrew: He, by the way, is the Chairman of the Board of Directors at OpenX, right? Interviewee: Yes. Yes, he is. Interviewee: He is insanely busy. But, if I ever had questions or problems, or just needed advice, he’d always find time and sit down and I’d go over there and we’d have lunch and talk about all kind of things. He really is able to grasp what the underlying issue is. We’d have Board meetings and he wouldn’t say much, and then he’d come out with: “Here’s the three things: one, two, three.” And you think: “Wow!” [laughing] He could’ve said that at the start of the meeting and the meeting could be over. These are the absolutely critical parts. Andrew: Does he ever say… I would think that he’d start every sentence by saying something like: “Well, when I ran AOL, here’s how we did it.” And how you’re going to argue with that? Interviewee: You know, he never really talked about that at all. He’s definitely one of these folks who you know are changing the overall industry. What he is doing at Fox, is changing the industry. And he’s going to do it, I believe it. Andrew: Alright. Who do you see – I’ve got to get him at some point here to do an interview with me, but, like you said, the guy is super busy – we’ll get him here. Whose ad do you see grown rapidly? What am I trying to say or how do I say this? You’re watching ad growth from inside – you’re not just watching the Quantcast numbers, you’re not watching Alexa numbers or reading the blogs. You’re seeing people whose traffic has grown, whose ads are growing, who were making more money from their sites. Who do you see out there who have grown quickly? Interviewee: Well, I think that one of our earliest partners, a company called Associated Content. Do you know who they are? Interviewee: It’s just a really automated system that you couldn’t do without deep integration. And it has been fun watching those guys grow. Andrew: And what they then have to do, if I am catching you right, they then have to take the revenue from those ads that are served through OpenEx and allocate them to each indvidual writer based on what they contributed? Andrew: I see. And OpenEx is helping them do that, right down to the individual writer of the page? Interviewee: Right. I’m sure there is not a single manual step in the process. That it’s totally integrated from the content creation to where SEO should be happening, what SEM should be happening, and then to the payment of the authors. Andrew: We see a lot of companies do this now. Not a lot, but we are seeing some strong players get in there. Obviously Demand Media raised over three-hundred million dollars. This is a big portion of their business. Getting people to pump out content based on what they think search-engine traffic’s looking like, and then share revenue with the content creators, or sometimes pay them a static price. Hollow is doing more and more of this I can see through Jason Calacanis. And now Associated Content, who I’ll have to see if I get an interview with them. Will you introduce me to the founder so I can get an interview with him? Andrew: I would love it. Who else? What other category of company that is doing well? Interviewee: Well, I think there’s also a category of company which is not necessarily a publisher, but there is a category which are real time bid aggregators. And I think what this type of company is is what ad networks used to be. And so Ad networks, as there are more marketplaces like OpenEx market that are out there, people are using ad networks in a different way. And there are some early companies that have integrated with OpenEx and with Right Media and other exchanges to be able to buy and sell ads in a real time fashion, rather than the traditional way of buying a month’s worth of ads or using some sort of unknown revenue-sharing model. This is something that happens real time where you know exactly how much you spend on each ad. And there is a lot of companies that are now buying more & more inventory on OpenEx in this manner. It is definitely growing. Know, if you follow, there’s an ad industry blog called Ad Exchanger, and on that blog you can read about a lot of these companies that are really basically betting the farm on real time bidding. One that comes to mind is Triggit. Andrew: OK. What about Rubicon Project? I keep meaning to get Frank Addante on here. What do you think? How do they fit into all this? Andrew: Their mission is to let you take all these different networks and find, and have them almost fight it out and give you the best ad, at the best time, for the right user. True? Interviewee: Yeah. Historically, I think that the Rubicon is moving into the real time bidding marketplace as well. I think that is really where you see a lot of activity. I don’t know Rubicon as well as some of the other companies. So I know they are moving in a real time dirrection versus before they were doing ad network optimization. I think they are doing well, although I don’t know exactly who they’re working with or anything else. Andrew: Alright. And you are in Pasadena, right? Interviewee: I am in New York City. Andrew: Oh, you are in New York City? Interviewee: My company is in Pasadena. Andrew: I see. But you live in New York? Interviewee: I live in New York City. Yes. Interviewee: Well, I think it’s interesting to interview an entrepeneur for a company where the story isn’t written yet. I mean, you know, OpenEx over the last few years has had an amazing amount of traction and we are continuing to really push forward and to have a just a really strong roadmap going forward.